Presenter and authors: Phil Barker, Lorna M. Campbell, Martin Hawksey, CETIS and Amber Thomas, University of Warwick. A booksprint is a facilitated, highly structured intensive writing process. This booksprint ran for two and a half days, involved four people and was facilitated by Adam Hyde. The aim of the sprint was to produce a synthesis and summary of the technical outputs of the UKOER Programmes Once a chapter is written it’s passed on to another author, not for editing but co-creation. The initial author does not “own” the chapter. During this sprint each chapter was re-written by three authors. The team used Booki.cc open source authoring platform to facilitate the collaborative writing. Booki is much like other collaborative writing applications but incorporates additional tools for ebook creation. By the end of the two and a half day sprint the team had written a 22,000 word book. Some of the authors were concerned that the quality of the writing would be compromised but this does not seem to have been the case. Colleagues who have read and reviewed the book have all responded positively to it. 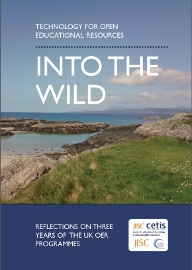 Into the Wild – Technology for Open Educational Resources can be downloaded free from CETIS Publications. A print on demand edition is available from Lulu. Leeds Metropolitan University have established a blended repository to manage both their research and teaching and learning resources, including OERs. 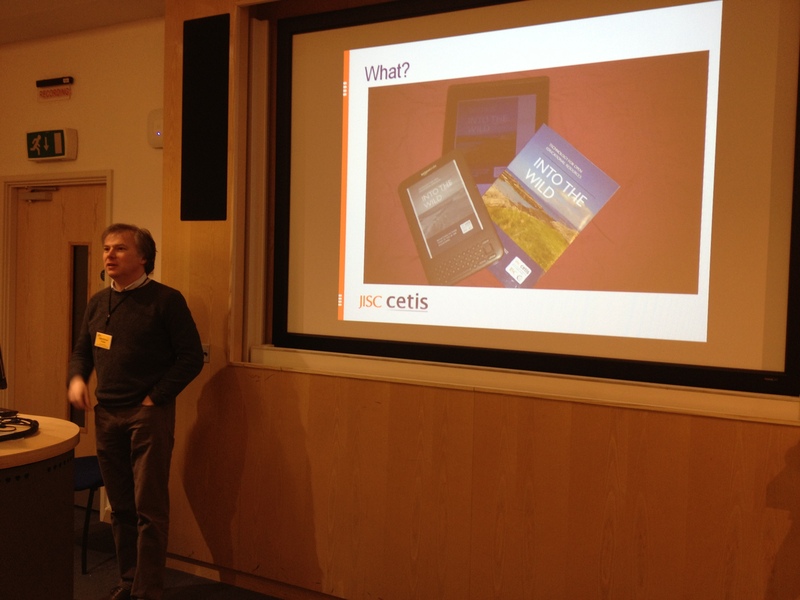 They have been involved in a number of JISC funded projects including the Unicycle UKOER project. The blended repository was originally based on Intralibrary and they have now implemented Symplectic. There has been considerable emphasis on developing research management workflows. Open access to research is changing dramatically in light of Finch and role of institutional repositories and there are synergies with Creative Commons potentially being mandated by Research Councils UK. Nick also referred to Lorcan Dempsey’s recent posts on “Inside Out” libraries, which focus on the changing role of institutional repositories and libraries. 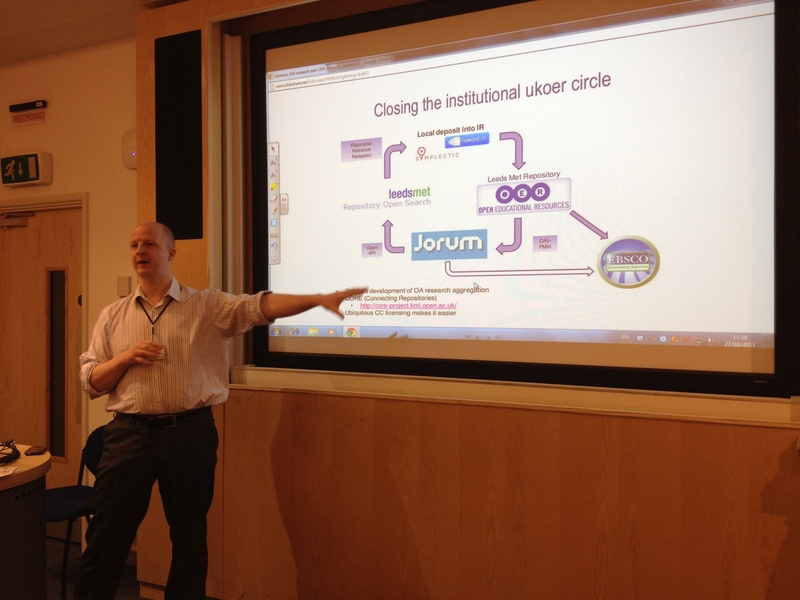 Leeds Met have worked closely with Jorum and Nick said that he believed that the new Jorum API is a game changer which will allow them to close the institutional OER circle. Why bother with open education? De Montfort have undertake a huge body of OER work since 2009. OER is incorporated into the institutional strategy for teaching an learning and OER is also is part of the De Montfort PG cert course. Despite this, when the team interviewed senior executives about OER, none could name any major institutional projects. They saw the marketing potential of OER but didn’t appreciate the potential of OERs to enhance learning. There is a distinct lack of buy in from senior staff and a lot of work is needed to change their mindsets. It doesn’t matter if everyone in the institution isn’t sharing, as long as there are enough to get momentum going. However it is important to get senior managers on board, OERs need to be enshrined in institutional policy. Presenters and authors: By John Casey, University of the Arts, Jonathan Shaw & Shaun Hides Coventry School of Art and Design, Coventry University. Talking about open in a closed education system is a lightening conductor for many thorny issues – power, control, ownership, identity, pedagogy, technical infrastructure, cultures, policy, strategy and business models. The OER space is a very productive but scary space. 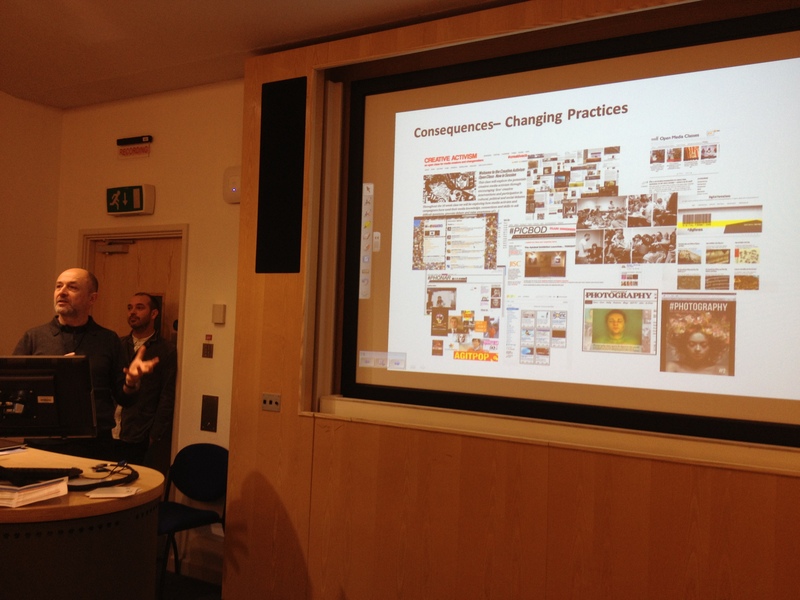 Media is about coproduction and teaching is itself a form of media production. Coventry fell into open learning with the #Phonar and Creative Activism #creativact courses which opened up their classes. Rather than having courses led by individuals, they now have teams of people all thinking and operating in different ways. Professional partners have also shown an interest in participating in these courses. They are thinking about how they conceive the design process of teaching, and are working with students and professional partners to let content evolve. OER is a political problem, you need to lobby senior management. OERs don’t just open up content, they change institutional practice. 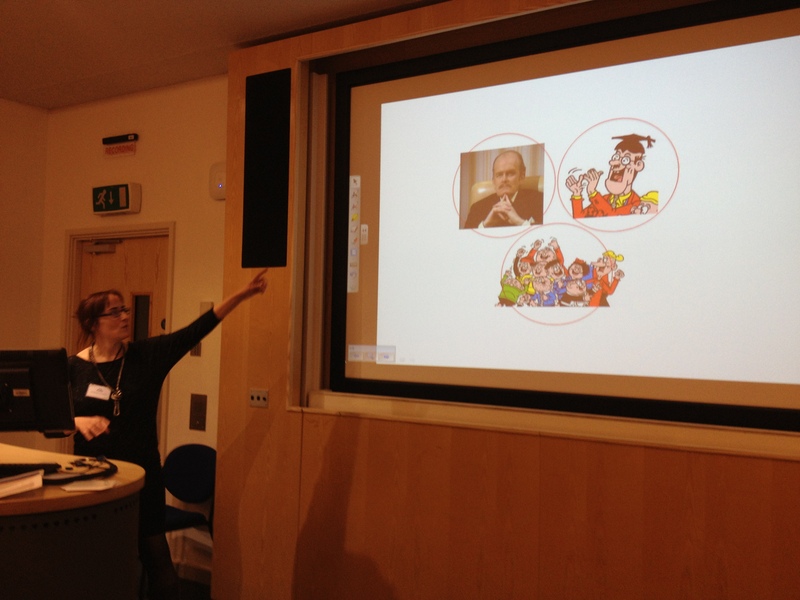 There are many unintended consequences and we need to deal with new educational and economic models of co-production.